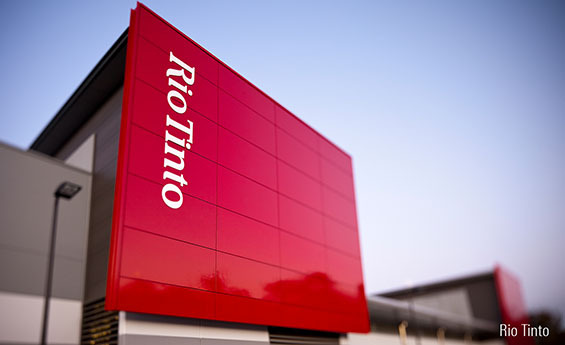 Dividends dominated Rio Tinto’s 2018's financial results, in which the company said it has returned over $13 billion to shareholders. The company paid a $2.43 per share special dividend with the proceeds from its earlier asset sales. Most of this was from the exit of coal with Rio Tinto now completely out. The final dividend $1.80 per share brought the full year pay out to $5.50 including the special dividend. The financial position is very strong. Rio had $0.3 billion net cash at the end of 2018. On an adjusted basis, net debt is $8.0 billion after including the upcoming dividend and tax payments and the remaining share buyback. Adjusted net profit after tax $8.8 billion was slightly ahead of 2017’s $8.6 billion result. Underlying pre-tax profits declined from $17.4 billion to $17.2 billion, excluding the earnings from the discontinued coal operations. Productivity gains via volumes and cost efficiencies were generally offset by inflation. Rio Tinto aims to gain further productivity benefits of $0.6 billion in 2019, though we expect a large portion of the benefits to be offset by slowly rising industry inflation. Rio Tinto’s peers are also engaging on similar productivity-based initiatives. We retain our fair value estimate of £30 for Rio Tinto and the shares remain overvalued at just below £44 per share. Commodity prices, particularly for steel making materials, are elevated. Our expectation that China is unlikely to continue to support excessive investment activity through ever-increasing debt is the key reason for overvaluation. Lower fixed asset investment in China is likely to have an outsize impact on demand for steel and iron ore. Iron ore accounts for about two-thirds of Rio Tinto’s earnings. Lower fixed asset investment should also slow demand growth for copper and aluminium, which make up most of the company’s non-iron ore earnings. The 3% lower iron ore price was the primary driver of the 2% decline in iron ore pre-tax profits to $11.3 billion. Aluminium pre-tax profits declined 10% to $3.1 billion with higher costs more than offsetting the benefit of higher prices. Higher copper production was the primary driver of a 46% increase in pre-tax profits for copper and diamonds.